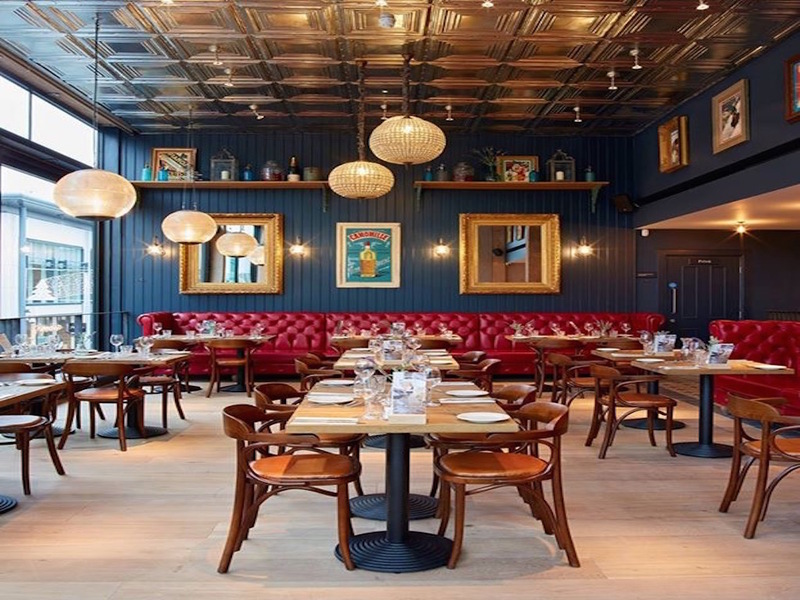 Completed in November 2016, this the 17th of the Bistrot Pierre chain of French themed restaurants to open. 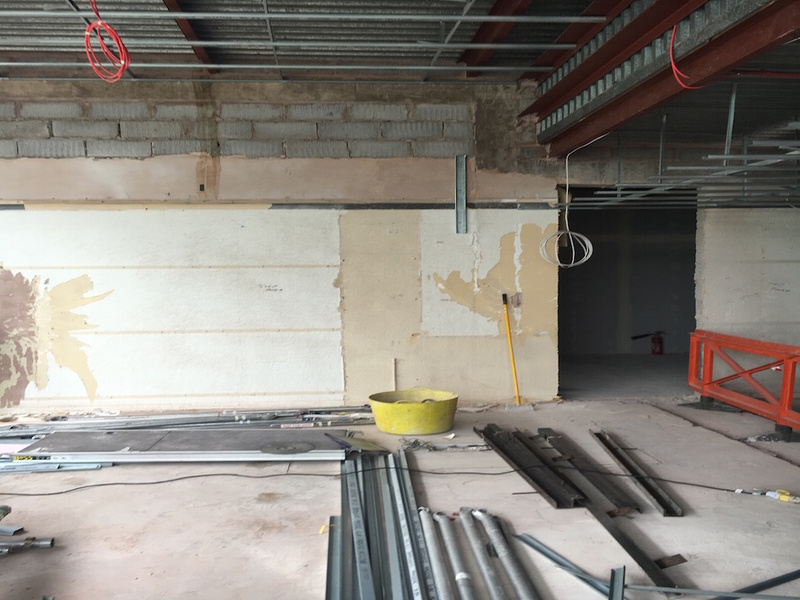 The building was stripped back to a shell and required a wide variety of finishes, the structural steel & tongue and groove wall boarding were treated with fire retardant Intumescent coatings prior to decorative finishes being applied. In keeping with the brand the bar counter front was stained and hand finished with a matt oil along with the sandblasted oak table tops which had a coloured matt wax applied to give an aged look. Waiter stations and the Back fitting unit were brush finished in an oil based eggshell. The focal point of the ground floor area is a large mural which was hung with the aid of laser levels. 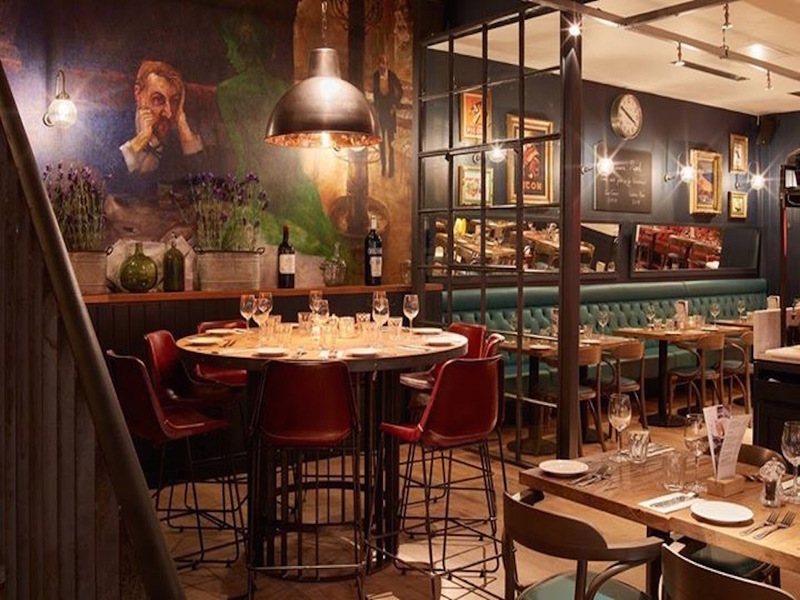 The full restaurant including all back of house areas and the external was decorated over a four week period as part of an overall contract period of 16 weeks finishing on time and to a very high standard.